Team Evotri: Give Back and Have a Blast in 2008! Give Back and Have a Blast in 2008! Looking to make a difference in 2008? In less than 24 hours you'll be given the opportunity! 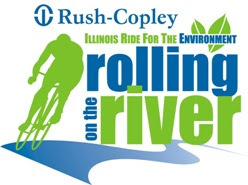 Vision Quest Coaching has proudly partnered with the Illinois Rolling on the River Ride for the Environment, and they, as well as Team Evotri, would like to see you there. Beginning tomorrow, be sure to register to ride with Robbie Ventura along the fully supported 15, 25, 45, 62, or 100-mile course of your choice, listen to live music, and partake in the organic cookout post-event party featuring burgers, brats, hot dogs, greens, and fruits. Bring the whole family and enjoy a weekend of camping, hiking, historical tours and stargazing, as well as other family focused outdoor activities, all the while knowing your participation is making a statement and a difference for the environment. Give back and have a blast in 2008! Register as an individual or a team, gather up your co-workers and friends, or simply register your family and ride through the beautiful scenic parks on the various routes. Incentives for fundraising also abound, including drawings for free all expense paid vacation getaways to everywhere from posh downtown Chicago to a private villa in Mexico. Vision Quest coaching will provide a free online training plan to participants as well, so don’t miss out on this family fun make-a-difference weekend. Click here to learn more.